Most Buckeye fans' knowledge of Ohio State football begins with legendary head coaches Paul Brown and Woody Hayes. 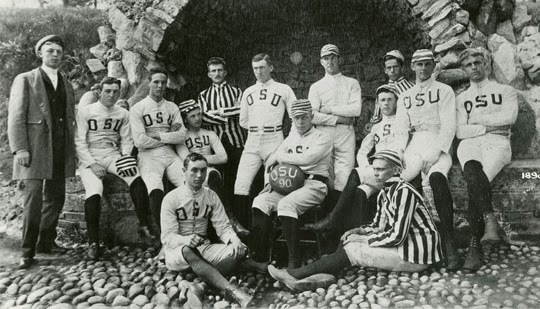 This site is dedicated to telling the story of Ohio State football, beginning with its true roots in 1890. You'll find biographies, stories, autograph examples, rare photographs, and unique memorabilia from throughout Ohio State's storied history. These are all items that came out of my personal collection. Hopefully, this site will help educate fans to the foundation of what is now one of the country's top college football programs. A special thank you to Dr. Mark Bomia, a fellow historian, collector, and a good friend that helped inspire this web site with his efforts put into creating a Vintage U of M site.